BAL Lawyers’ health and well-being program is diverse and well supported, and includes activities such as Bootcamp. Photos: Supplied. 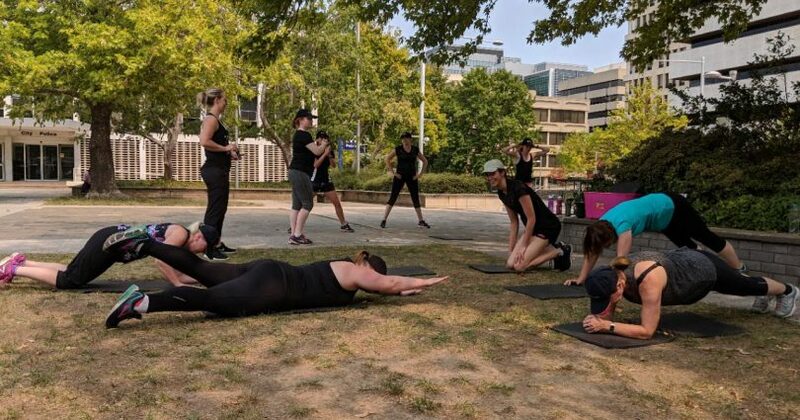 For almost 13 years, Canberra legal firm Bradley Allen Love Lawyers’ Directors and their staff have been developing their own leading health and wellbeing program. In 2015 BAL sought recognition from ACT Healthier Work for a 12-month health and well-being plan. Four years on, in January 2019, after assessing the comprehensive program that addresses mental health, physical health and wellbeing, Healthier Work ACT has awarded it platinum status. The Directors are passionate about encouraging staff to embrace daily measures for optimum mental and physical health and wellbeing. Each year, a comprehensive plan is refreshed and has evolved to include a salad club, yoga classes, nutritional and mental health seminars, health checks, weekly fruit baskets and collective support of local charities. 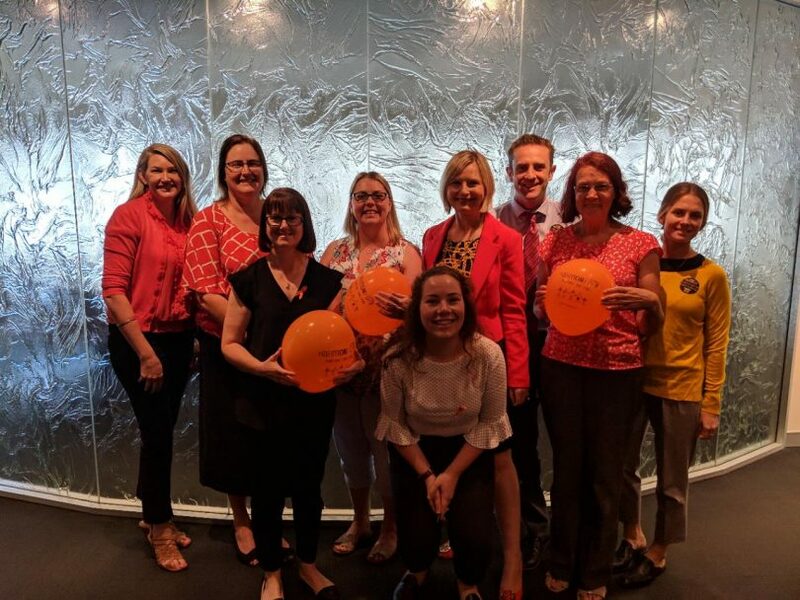 ACT Healthier Work, which promotes healthy workplaces across the Canberra community, assessed the program over 12 months before awarding the platinum status. “The three main outcomes of the BAL employee program were removing hierarchy and facilitating team bonding, providing an outlet for stress and improving staff health and morale,” BAL Human Resources Manager, Helen Parrett says. Celebrating Harmony Day at BAL. A trainer from Fernwood runs staff through varied styles of workouts at our twice-weekly boot camp,” Ms Parrett says. “There are always alternative exercises available if you aren’t feeling up to the full program”. The program is comprehensive, focusing on mental health and social connectedness as well as the physical aspects of good health. “According to the International Journal of Happiness and Development, there is an established social connection that turns generosity into feelings of satisfaction and wellbeing,” Ms Parrett says. “Each year, we choose a nominated charity and all our fundraisers for the year go towards helping them,” Ms Parrett says. In 2019, BAL is supporting Menslink. 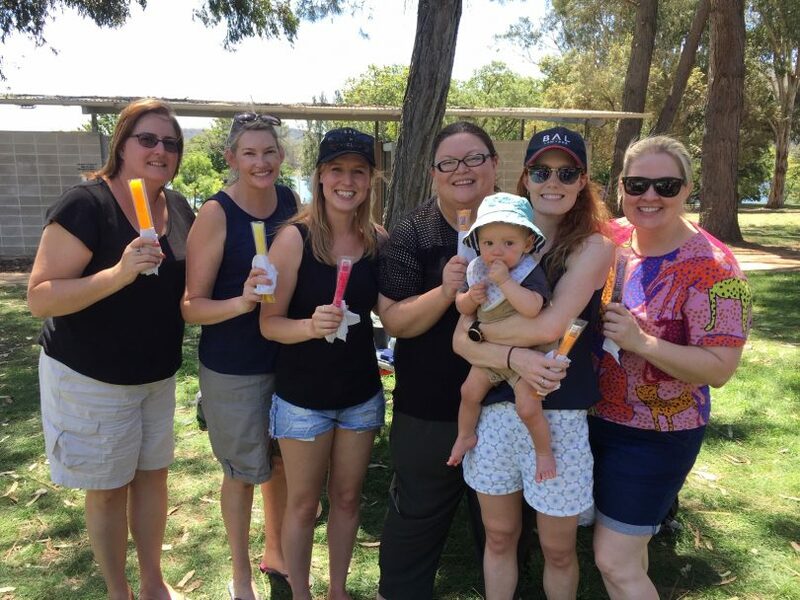 This adds value to BAL’s Health and Wellbeing program by supporting the Canberra community and allowing staff members to contribute to a worthy cause. “The legal industry historically has high rates of stress, depression and mental health issues; Bradley Allen Love understands that law firms must overcome the view that workplace psychological health and wellbeing initiatives are extraneous to core business and that they needed to be addressed,” Ms Parrett says. Family support and wellbeing is an essential component at BAL. Over the years BAL has seen improved employee engagement and enthusiasm about participating. “We successfully provide activities that focus on team bonding and removing hierarchy in the organisation whether you are an executive assistant, lawyer or legal director,” Ms Parrett says. 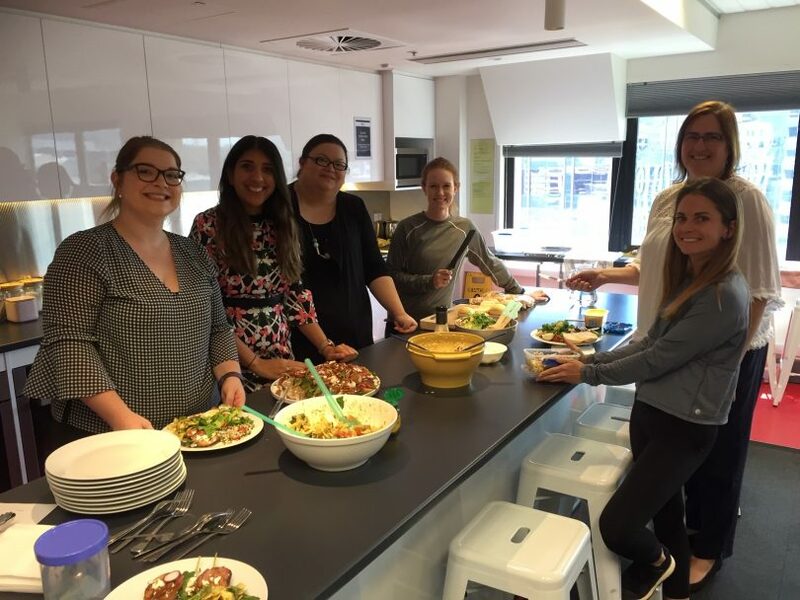 Movie nights, family picnics, posters relating to healthy eating and food, and soccer and netball competitions and a salad club are among many activities BAL Lawyers staff are enjoying all year round. There’s even a salad bar to enjoy!